Jaya Saxena, Esq. is a former practicing attorney who is passionate about helping individuals find fulfillment both personally and professionally. She currently serves as the Director of Dean’s Diversity & Inclusion Initiative and an Assistant Director in the Center for Professional Development and Career Strategy (Career Center) at The George Washington University Law School. In these roles, she leads a portfolio of initiatives to advance diversity and inclusion in the law school and legal profession more broadly. She also provides individualized career counseling to JD students of each class year on all aspects of the job search, including informational interviewing and networking, resume and cover letter reviews, mock interviews, and more. Before joining GW Law, Jaya was a Career Counselor at the Antonin Scalia Law School at George Mason University. 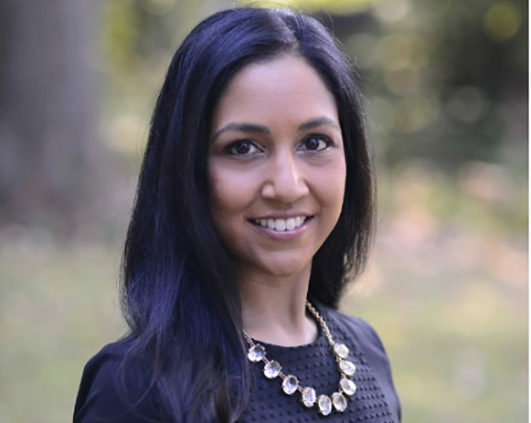 Jaya has approximately five years of experience as a legal services attorney at Maryland Legal Aid where her civil litigation practice focused on public benefits and elder law. In that work, Jaya represented hundreds of individuals in administrative law hearings and proceedings in state district and circuit courts, and the U.S. District Court of Maryland. Other experiences include working at a national health care advocacy organization and clerking at the DC Superior Court. Additionally, Jaya has held numerous leadership positions in the community. She serves as Vice-President and a Board Member of the Washington Council of Lawyers, a voluntary bar association in Washington, DC committed to promoting and supporting pro bono and public interest work through partnerships, volunteer opportunities, mentoring, and advocacy to expand access to justice. She previously served on the Board of Directors of the South Asian Bar Association of Washington, DC. Jaya is a 2016 graduate of the Impact Center’s Women’s Executive Leadership Program. She earned her JD from the University of North Carolina at Chapel Hill and her Masters in Public Management and Bachelors of Science degree from Carnegie Mellon University. Jaya also has a Graduate Certificate in Health and Wellness Coaching from the Maryland University of Integrative Health (MUIH) where she currently serves as a member of their Committee on Diversity, Inclusion, and Cultural Competence.